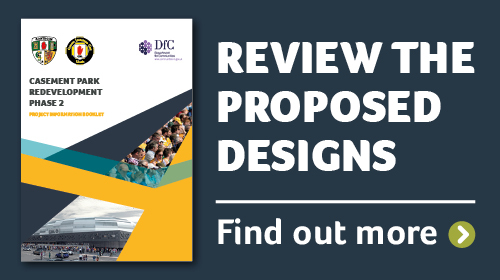 Stage two of the Casement Park Community Consultation has now commenced. 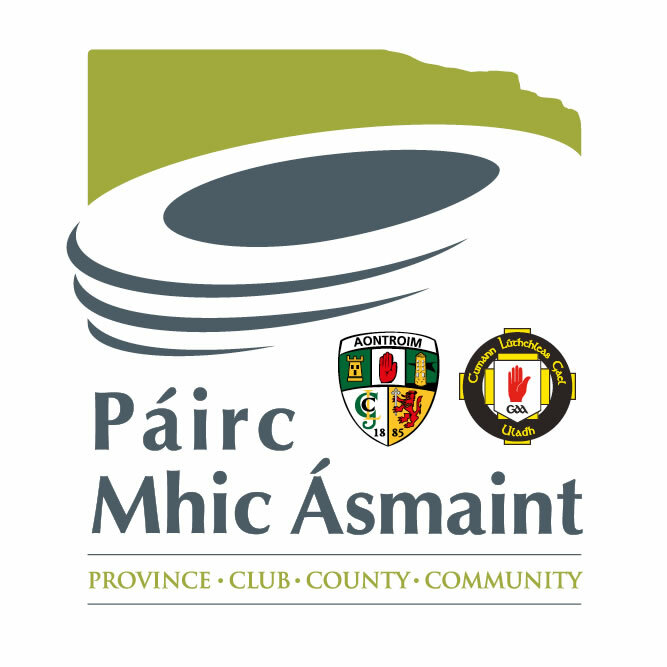 It involves further engagement with the local community, providing an introduction to the project, explaining the findings of the EIA and the scheme design. 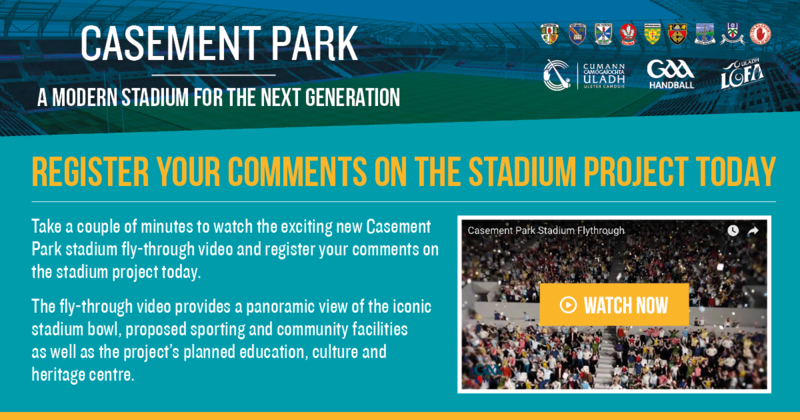 You can contact us by email to info@casementpark.ie using the details below to find out more about the project and the public consultation events. You may make representations by email or by using the feedback forms provided at the public consultation event.